Sake (Japanese liquor, made from rice) is a drink, which is frequently consumed at a proper setup. A dinner table is a prerequisite for its consumption. In another words, it's hardly like beer, where you can casually have a pint at pretty much anyplace -- even at a park, deck, and poolside. Fukumitsuya, one of the largest sake producers from Kanazawa, has been launching its stores with eat-in facility in Tokyo. Futakotamagawa (southern edge of Tokyo) Store is located at the basement of Takashimaya Department store, one of the busiest and most posh department stores in Tokyo. 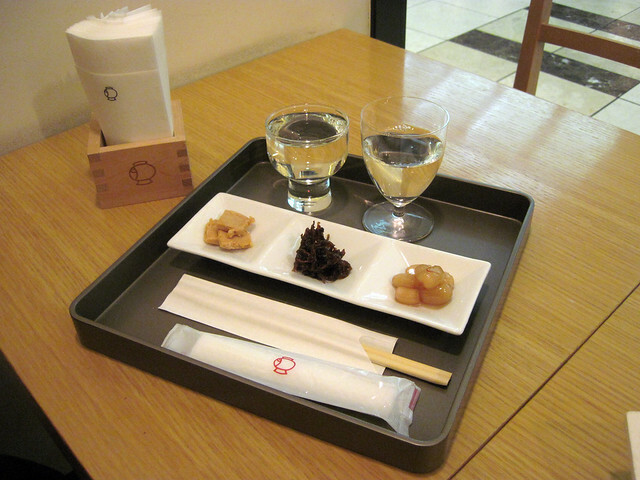 The store offers series of sake as well as nibbles that go super-well with sake. 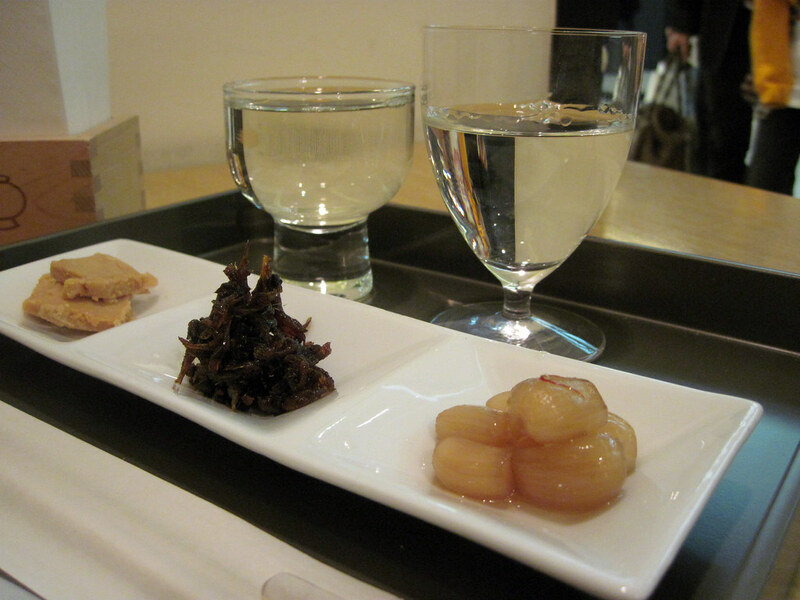 From left: Miso-dipped tofu, soy source dipped fish, soy source and vinegar dipped onion. 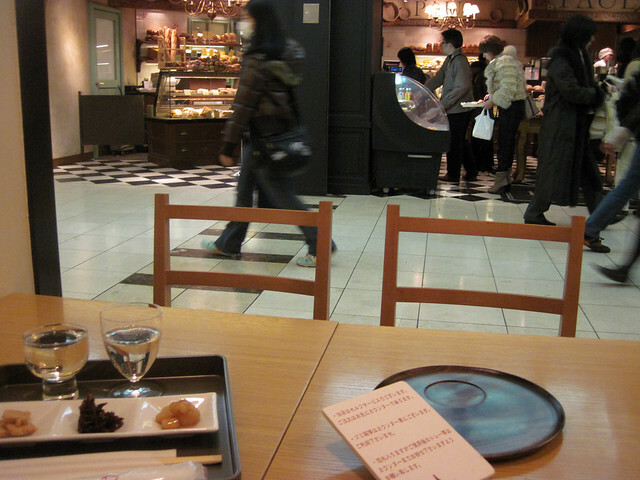 There's more -- since the store (aka sake bar) is located on the opposite side of a popular bakery with a heavy human traffic, adding a view of people-spotting while sipping the finest. A glass is offered from JPY400.